If you’re enrolled in a qualified high-deductible health plan (HDHP), you must consider how your health savings account (HSA) fits into your estate plan—especially to make sure that any hard-earned money left in your HSA when you die goes where you want it. 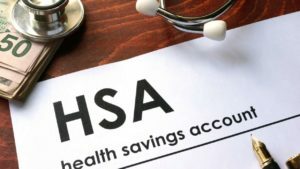 Overall, HSAs can be extremely useful tools in retirement, tax planning, and estate planning, but the tax rules surrounding them are complex. To maximize your benefits and do what’s best for you and your loved ones, call our offices at (913) 871-2188 for a consultation today.